September 17, 1862, is remembered by US military history students as the bloodiest day in US history. It should also be remembered as a critical lesson to all members of the US intelligence community and the US military. Even a perfect intelligence windfall can be defeated by habitual bad intelligence. On December 20, 1860, the South Carolina state government voted to secede from the Union, beginning the American Civil War with a bloodless political act. Many Southern politicians guessed that their states, too, could happily secede and slip away from the Union without suffering much loss. Wealthy Southern plantation owners thought that by seceding, they could continue to use slavery as their primary economic tool. Most Southerners did not own slaves or plantations, so the secession concept was marketed to them under the banner of “States’ Rights.” By May 1861, eleven Southern states had voted to secede and had formed the Confederate States of America. President Lincoln, like a majority of Northerners, was opposed to slavery, but he thought that he was not in a position to declare an end to the practice. Slavery was still legal in the Union border states of Missouri, Kentucky, Maryland, and Delaware, and Lincoln did not want those four states to secede and join the Confederacy. On May 24, 1862, the US government signaled its determination to reverse the secession of the Southern states by sending an army across the Potomac River. With the capture of Alexandria, Virginia, the US Army improved the security of nearby Washington D.C. and established a valuable base for operations against the Confederacy. 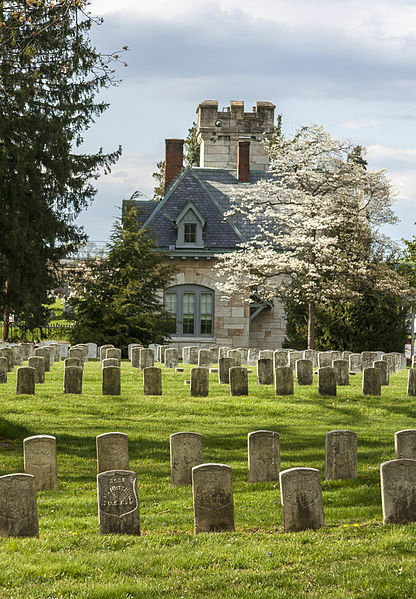 For the Confederacy, it was critical to prevent a Union capture of its capital, Richmond, Virginia, and the surrounding area, including the agriculturally rich Shenandoah Valley. In July, when the Union army moved south from Alexandria, the Confederacy concentrated all the forces it could muster for a counterattack. On July 21, 1861, at Manassas Junction, the Confederates soundly defeated an overconfident and poorly organized Union Army and sent it into retreat to Alexandria. The battle is commonly referred to as the Battle of Bull Run. 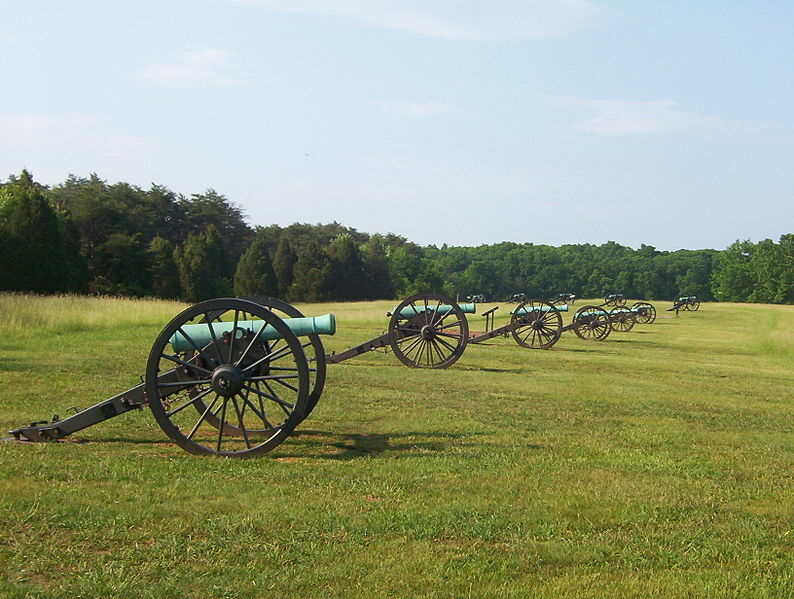 The Union defeat at Manassas shocked the overconfident Northerners. For the general public in the South, the victory proved the superiority of Southern military abilities and indicated certain victory and independence for the Confederate States. The Confederacy was hoping for foreign assistance from cotton-consuming countries such as France and England and from neighboring Mexico. 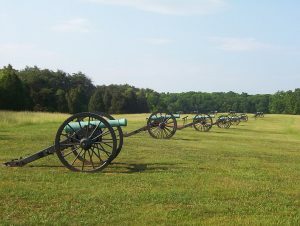 The victory at Manassas helped their diplomatic efforts. While the general public in the South loudly celebrated the victory at Manassas, most of the South’s senior military leaders were not quite so willing to underestimate the North’s military abilities or political determination to retake the Confederacy. With each passing month, more Confederate leaders realized that time was not on their side, and that the Union would eventually organize itself sufficiently to use its vastly superior resources in manpower and industry to win the war. The Confederate leadership thought that their best strategy was to keep the Union busy on as many fronts as possible in order to ward off a major Union invasion of the South. They reasoned that, if the Confederacy lasted long enough, it would eventually receive enough foreign assistance to ensure its long-term independence. The single greatest diplomatic obstacle for the South in receiving foreign assistance was that they were seeking recognition and aid from nations that had already outlawed slavery. Those nations took a dim view of slavery in the Confederacy. By the summer of 1862, the South’s need for foreign aid was becoming more urgent. Confederate General Robert E. Lee thought that defensive victories on Southern ground would never be enough to gain the image of legitimacy that the Confederacy needed to acquire that aid. 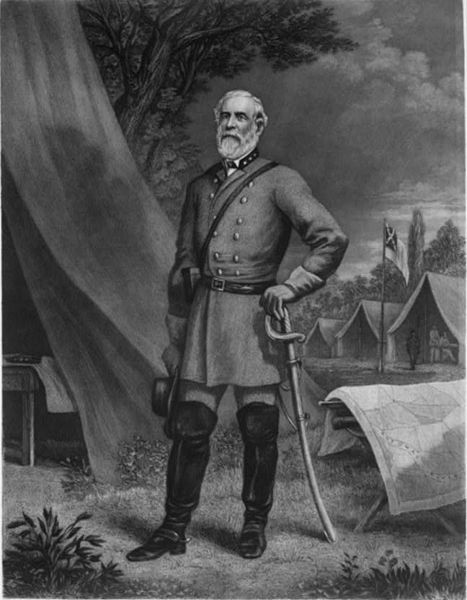 With the agreement of Confederate President Jefferson Davis and his cabinet, Lee devised a plan to invade Union territory in Maryland and West Virginia. They hoped that Maryland would respond to a Confederate invasion by joining the Confederacy, bringing much-needed conscripts and material wealth. On September 2, 1862, Lee’s confident Army marched happily into Maryland. They might have been less cheerful if they had known that Lee’s plans were based on an extremely bad intelligence assessment of the conditions in that state. Although most Marylanders did not actively oppose Lee’s Army, they did not lend assistance or join his forces. The “liberation” of Maryland was not going as planned. President Lincoln recognized Lee’s invasion as a serious problem, but he also recognized a great opportunity. The Union’s Army of the Potomac now had 75,000 well-equipped soldiers. That Army was well trained by its popular commander, General George McClellan. 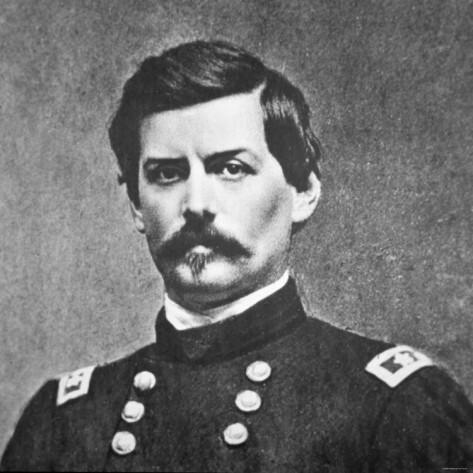 McClellan loved that Army, and they loved him. Morale was high, and the troops were ready and willing to face Lee’s soldiers. While Lee moved his army forward on a foundation of faulty intelligence, the Union forces had their own intelligence issues. In 1862, there was nothing like a “CIA,” or even a fledgling “OSS.” McClellan relied on Alan Pinkerton and his informal intelligence service. Pinkerton efficiently spied for McClelland. Although Pinkerton’s men were able to gain access to Confederate information, Pinkerton lacked any basic ability to reasonably assess that information. He repeatedly overestimated the size of Lee’s forces. President Lincoln and the Union War Department never believed Pinkerton’s information, but McClellan did, and he operated accordingly. When McClellan maneuvered his army to oppose Lee, he did so under the assumption that he was facing a Confederate army numbering over 100,000 troops, when, in fact, Lee had 54,000. And so it was that two well-trained armies, both equipped with terribly inaccurate intelligence estimates, marched to battle. Next week, we will look at the Battle of Antietam and how a perfect intelligence windfall was defeated by habitual intelligence mishandling. Great history lesson. Too bad they don’t teach Anerican History anymore.